Christmas is almost here! 🙂 Today I spent the afternoon wrapping presents while listening to Christmas music. 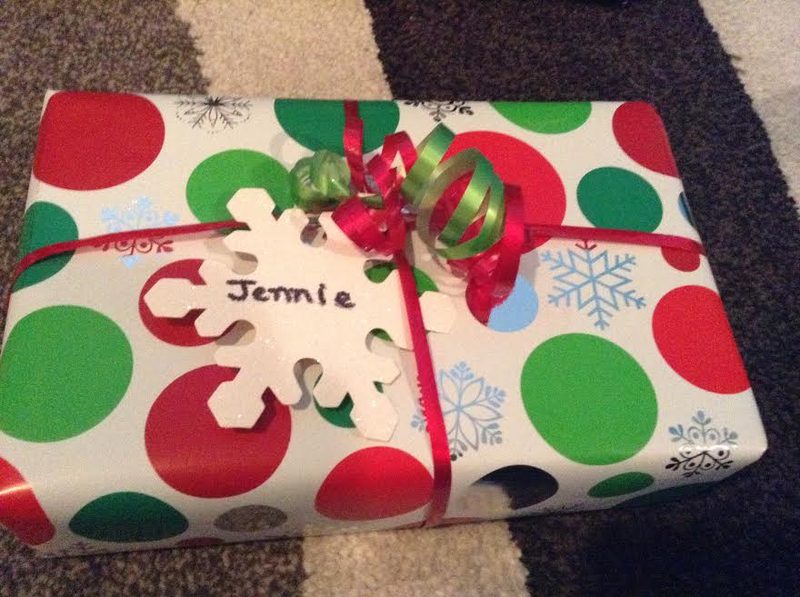 I don’t particularly like the wrapping part, but I love to personalize each gift with a homemade gift tag and ribbon. This is something I have been doing for years. It’s easy and fun! I never buy gift tags. I typically make gift cards out of scraps of scrapbook paper or card stock. All you need is paper, scissors, and a hole punch. Below I pictured some different ideas to make your presents extra special. 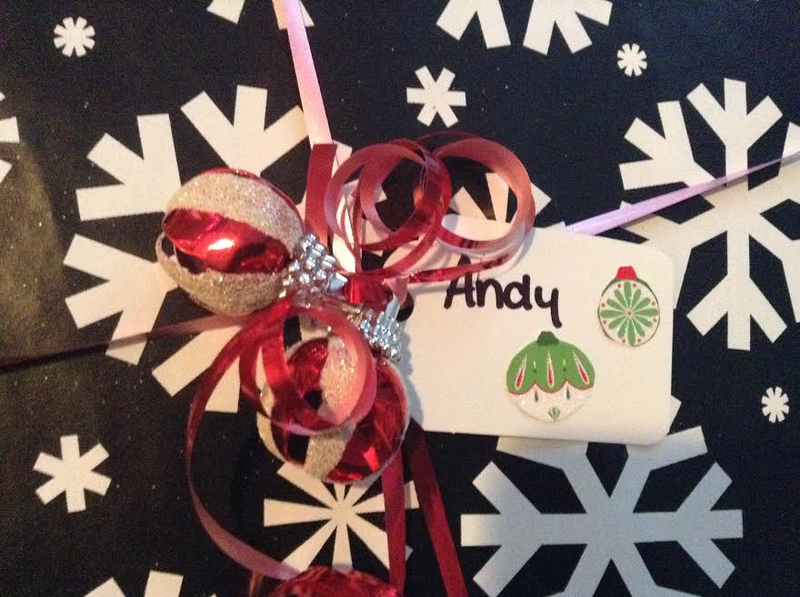 For this gift tag I used silver scrapbook paper, a snowflake hole punch (which I got on clearance last year after the holidays), and a marker. 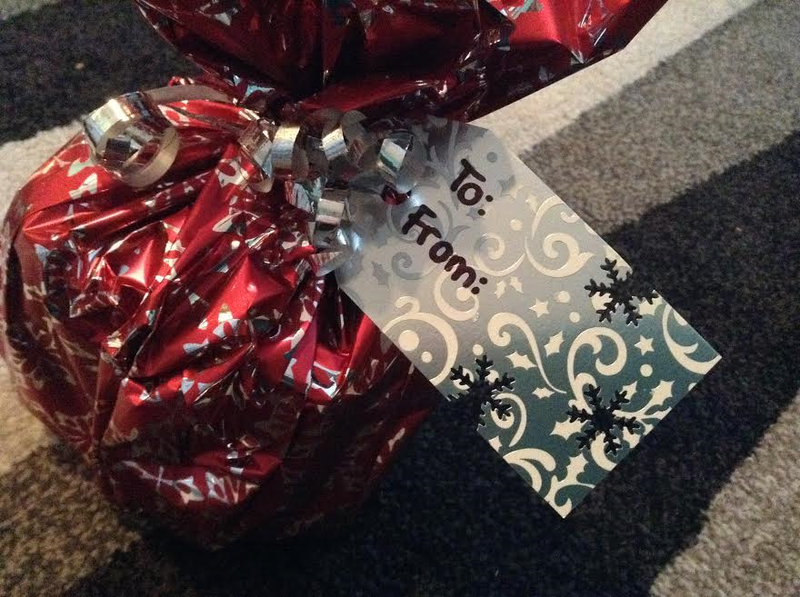 I actually had an old gift tag in this shape, so I used it to trace. 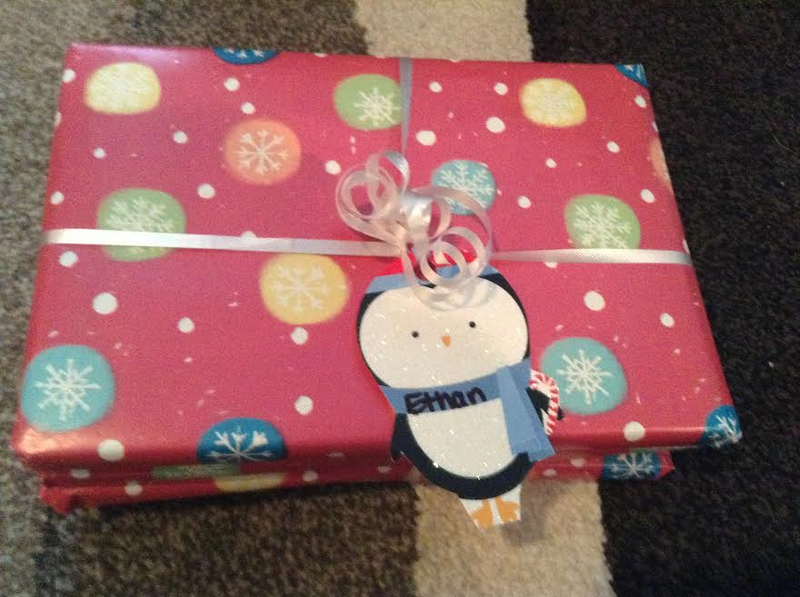 I traced the gift tag, cut it out, punched the snowflake holes, and used the marker to write. 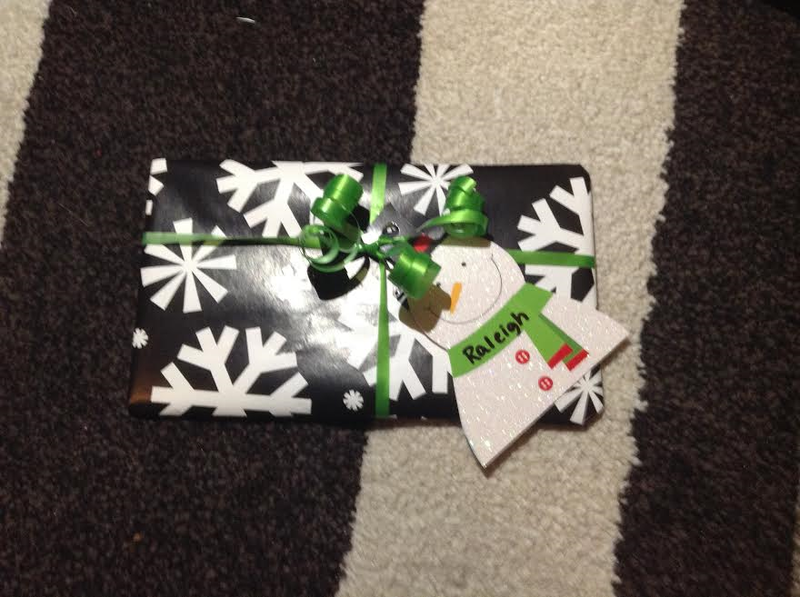 I then used ribbon to tie it to the present. See, so simple! For my next gift tag idea. 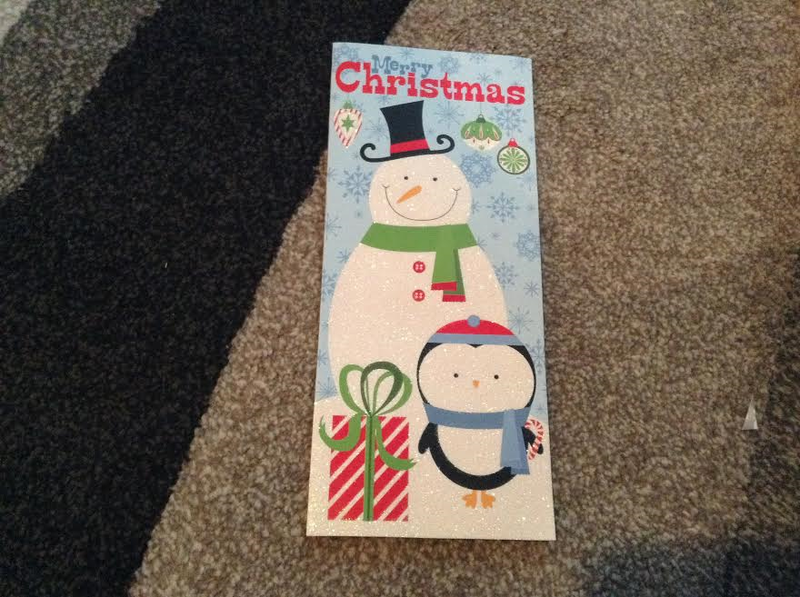 I actually used an old Christmas card. I think this is a great idea! People spend so much money and time to send out Christmas cards; I typically display them during the holidays and then either throw them away or store them in boxes with my Christmas decorations. Now this is a fun way to reuse them. 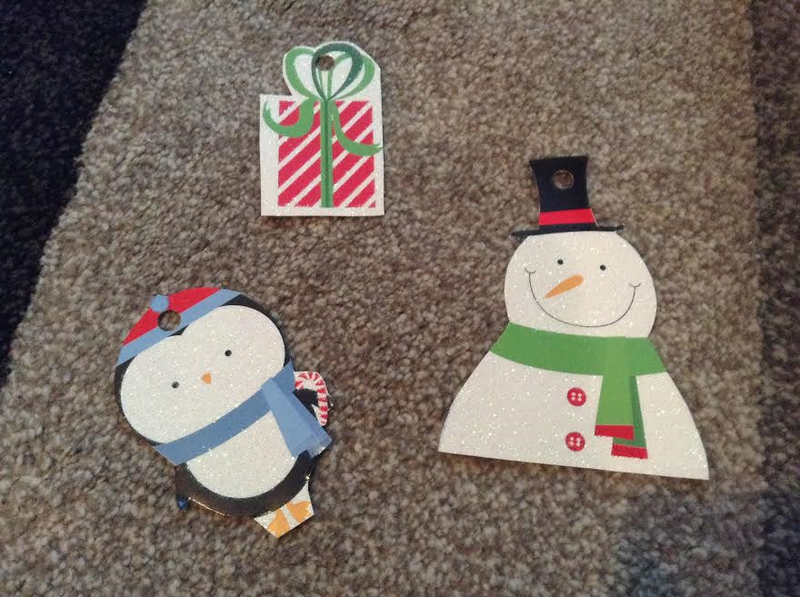 I thought it would be a cute idea to use the snowman, penguin, and present for gift tags, so I cut them out. I then punched holes in the tops and tied to presents. Simple and so much cuter than the gift tags in the store (and way cheaper). Another thing I like to do is add decorations/ornaments to presents. I had two small jingle bells, and I thought it would match this wrapping paper perfectly. I made this gift tag with card stock and I glued on the small ornaments (also from the card above). Another fun idea is to use a snowflake. I printed out a snowflake from online and traced it on a piece of white, glitter piece of scrapbook paper and then cut it out. In past years I’ve done the same thing with music notes and/or letters (the first initial of the person receiving the present). All these ideas are super easy! Anyone can do it! It’s a perfect way to make your presents a little extra special.